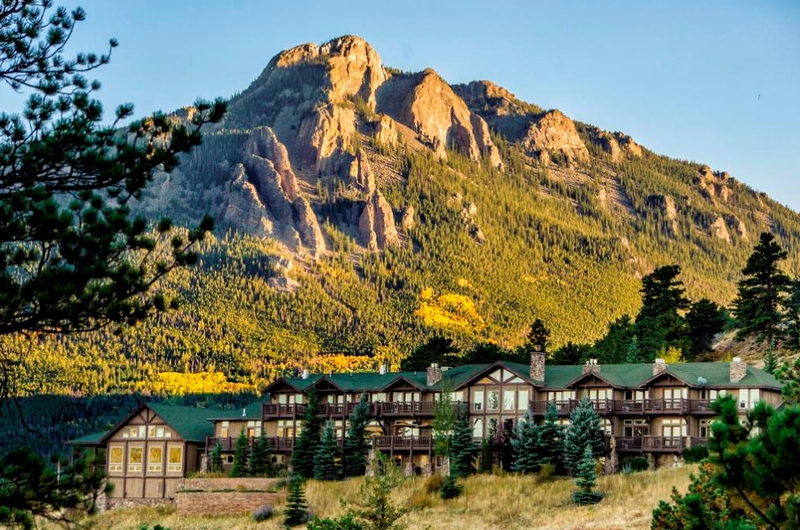 With a sweeping backdrop of Colorado's Mummy Range and the awe-inspiring peaks of Rocky Mountain National Park, Taharaa Mountain Lodge Wedding Venue offers a casually elegant setting for a truly memorable Estes Park wedding celebration. Taharaa Mountain Lodge is a strikingly unique and delightfully welcoming bed and breakfast-style lodge. This secluded retreat makes your wedding a calm mountain escape, full of mountain views, relaxed atmosphere, and quiet elegance. 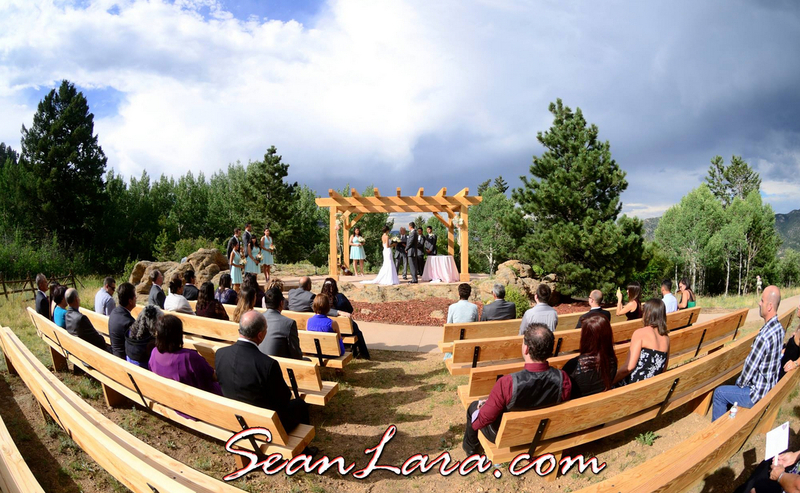 Imagine the Colorado mountain wedding of your dreams, standing next to the one you love as you begin a new journey in life together while surrounded by the spectacular Rocky Mountains, your family, and friends. Later, the reception of your dreams unfolds in the Great Hall, exuding the relaxed sophistication of iconic mountain lodges with hardwood floors, log-beam framed vaulted ceilings, floor-to-ceiling stone fireplace, and antler chandeliers and sconces. 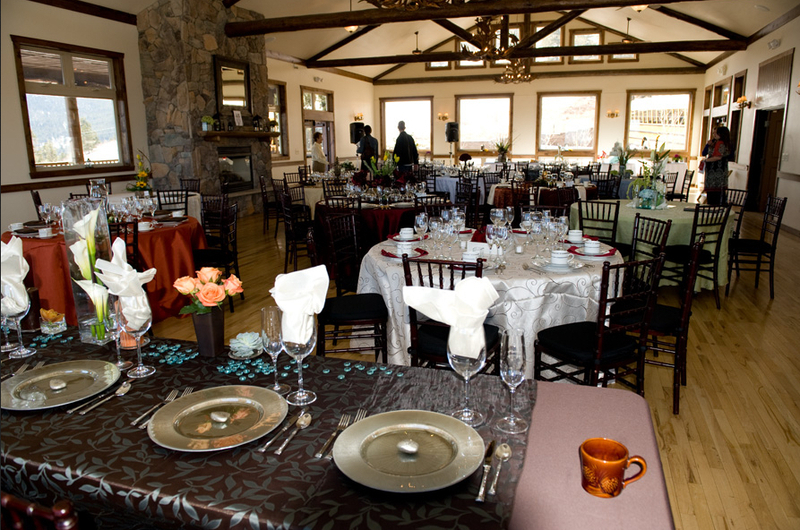 These design details, combined with stunning panoramic mountain vistas from the three walls of picture windows and from the adjacent covered deck, you’ll dance the night away and begin the married life you’ve been dreaming of at Taharaa Mountain Lodge Wedding Venue. From small and intimate elopements to larger weddings and rehearsal parties, Taharaa Mountain Lodge Wedding Venue can make your wedding truly special!